however, and therefore tickets will be available for purchase on-site in the FABA store. Workshop #W01 Teaching Intraverbal Behavior SOLD OUT! Many children with autism acquire mand and tact repertoires but fail to develop intraverbal responding. Failure to acquire intraverbal behavior leads to difficulties in academic, social and over all communication skills. Only in the past few years has the behavior analytic literature begun to report methods to teach the intraverbal. The purpose of this workshop is to present the current research on teaching the intraverbal which extends Skinner’s (1957), analysis of this verbal operant. A sequence for teaching intraverbal responding from simple to complex will be offered with many video illustrations of teaching methods within applied settings. Food selectivity is common among children with ASD, which can result in health and behavior problems. Although ABA intervention has the most empirical support, studies have shown that the etiology of pediatric feeding disorders is often multifactorial, requiring an interdisciplinary approach. Therefore, it is critical that clinicians understand the potential risks associated with feeding intervention and the training necessary to mitigate these risks. In the current workshop, we will review information on the assessment of pediatric feeding disorders, practice strategies to systematically evaluate mealtime behavior, and present research on interventions for food selectivity and considerations when using edible reinforcers. Behavior analysts are adept at handling a myriad number of problem behaviors. With our reliance on research literature and evidence based practices, we work diligently to remain up to date and consistent with our ethical code and basic principles. In spite of our best intentions, nuances and particulars of how to assess and treat severe problem behaviors can be lost in translation which might place our clients in peril. This workshop will teach behavior analysts to consider what is missing and/or what is necessary in assessments and interventions so complex problem behavior can be understood and safety maintained. Transition planning is crucial to increasing successful outcomes for life after high school. This workshop will discuss issues related to transitioning from school to adult life. Activities and discussion to help identify interests and future plans will be included. Strategies for developing appropriate goals as part of the IEP process will be offered. Participants will be informed about resources in the community and our role, as parents and providers, in ensuring a dignified and successful transition into adulthood. Teaching strategies, independence, self-advocacy, job preparedness and community access will be covered as part of this workshop. 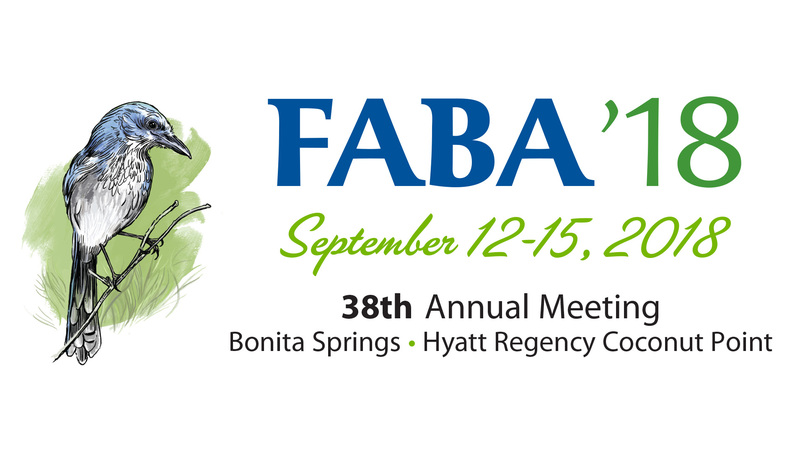 This workshop greatly expands upon a previous paper presentation at FABA and offers behavior analysts and behaviorally-oriented mental health practitioners insight, prerequisite knowledge, and an opportunity to develop unique clinical protocols for some of the most common problem behaviors faced by families. Ethical, marketing, and financial sustainability considerations for practice will be discussed as well. Dr. Glenn Latham's work in parent training is well known to the field of Applied Behavior Analysis. Based on the book, "The Power of Positive Parenting" a parent training curriculum; "Parenting Tools for Positive Behavior Change" has been used with a wide-variety of parents seeking to improve their parenting repertoire. However, this curriculum is not typically utilized with parents diagnosed with ASD or other developmental disorders. The purpose of this workshop is to present an overview of the curriculum "Parenting Tools for Positive Behavior Change" and how it was successfully implemented with a parent diagnosed with ASD. While behavior practitioners specialize in using reinforcement with children as clients, there is a need for staff to apply these principles to change parent behavior as well. This workshop is designed to disseminate specific behavioral parenting skills and strategies for use by behavioral practitioners for parent training. The content also includes common parenting problems, how to avoid them, and supporting literature. Attendees will participate in small groups while learning evidence- based skills. Participants will practice identifying applicable tools to scenarios involving ASD and typically developing children. Workshop will be taught via lecture and Behavior Skills Training. Are you confident serving recipients with dangerous/intensive behaviors? Are you using, or thinking about using, physical management? Medicaid doesn't fund restraint, and most funders rarely ask for restraint data. What are your obligations to the recipient, the family, and to the agency providing IB services? Are there legal requirements? Does oversight fit in, if so, who should do it? This workshop will address writing and reviewing ethical IBPs for recipients with dangerous/challenging/intensive behaviors. Using a format for "old school" (non-computer generated) IBPs, we will examine recommended components, organization, wordsmithing, effective data collection, and the importance of explicit, detailed, interventions. positive exercise behaviors for individuals who are developmentally delayed and typically developing. Suggested interventions will employ unconditioned and conditioned motivational operations and tolerance training. This workshop trains supervisors in evidence-based methods of supervising staff who provide applied behavior analysis (ABA) services for people with autism. In order to meet the 8 hour requirements of the BACB, this will be presented as two 3-hour workshops and two additional hours available online. The content is based on over four decades of ABA research. The content includes critical supervision knowledge and skills coinciding with the BACB task list for effective supervision. The content is relevant for supervisors of staff providing comprehensive and/or focused ABA services across a variety of settings, including center-based programs, homes, schools, and clinics. Board Certified Behavior Analysts and other professionals providing behavioral services to persons with autism spectrum disorders (ASD) will face unique challenges. From home-based service delivery to working in school settings, serving the extensive needs of persons with ASD can pose ethical challenges that may be in direct conflict with our Professional and Ethical Compliance Code. This interactive workshop will discuss the vulnerability of professional behavior analysts delivering services across settings, illustrate commonly reported dilemmas, consider the impact of business ownership, and facilitate dialogue encouraging ethical practices that protect the integrity of service to both our clients and our certification board. This workshop will focus on the Individuals with Disabilities Education Improvement Act (IDEIA) and the issues that practicing behavior analyst should be apprised of. Participants will learn about federal requirements for conducting functional behavioral assessments, writing behavior intervention plans, understanding the term positive behavior interventions & supports as used in IDEIA, and requirements for independent educational evaluations including FBAs. Information will be provided in lecture format with case studies as examples. Legal and ethical responsibilities of a behavior analyst will be discussed. Time will be allotted for extensive question and answer. Detailed handouts will be provided. Do you struggle to promote your ABA business? Do you know how to attract new clients and staff without violating the Behavior Analyst Professional and Ethical Compliance Code? If you answered "Yes" to these questions, then this workshop is for you! Attendees of this workshop will learn how to harness the power of story telling to ethically market their ABA business. Attendees will also be given social media and other marketing strategies that they can use to expand the reach of their business while staying in compliance with the BACB Professional and Ethical Compliance Code. Typically developing learners experience puberty with a variety of social and emotional skills that guide them through this significant transition. Learners with Autism and Intellectual Disabilities brave this transition with significant social and emotional deficits. This lack of social and emotional awareness can result in problematic behaviors. In this workshop we will be exploring the issues related to inappropriate sexual behaviors (ISB). We will debunk common myths related to sexuality and disability, discuss effective methods to teach appropriate sexual behavior and provide an overview of the legal aspects related to consent and intimate relationships for learners with ID. Increased standards for supervision are needed for the betterment of the field. However, it is a challenge for organizations to meet these standards. Throughout the ages, experts in all trades have passed along their wisdom through apprenticeship opportunities. An apprenticeship model to mentor, educate, and train students on the science of human behavior will be discussed, including a summary of the model, typical supervision activities, and meeting schedules. While many children achieve successful toileting without intervention, others need additional support. During this workshop, Azrin and Foxx’s Rapid Toilet Training method will be discussed and demonstrated in detail. Within the workshop, participants will discuss readiness tests, teaching protocols, and error correction methods. Use of RTT with typically developing children and those with developmental disabilities will be discussed. Research on modifications and abbreviated methods will also be introduced. Finally, participants will be provided with sample data sheets and fidelity protocols. success. Trainers are responsible for training staff to fluency and ensuring readiness to work in the field. This workshop will demonstrate how evidenced-based training methodologies can achieve this. There will be discussion on the establishment and maintenance of training programs, training staff to become effective trainers, curriculum development, and ongoing ABA staff support. and use technology to ensure their audiences achieve the learning objectives and walk away inspired! this presentation, and receive supportive feedback. Note: A laptop or tablet with Microsoft PowerPoint or Apple Keynote installed is required, and some prior experience with presentation software is preferred. Additionally, participants may have a specific topic or data to present, but this is not required. Skinner, B. F. (1981). How to discover what you have to say—a talk to students. The Behavior Analyst, 4(1), 1–7. Friman, P. C. (2014). Behavior Analysts to the Front! A 15-Step Tutorial on Public Speaking. The Behavior Analyst, 37(2), 109–118.